SIX NATIONS, Ohsweken, January 11, 2018 – The results are in. The people of Six Nations want no political interference – from inside or outside of their community – when it comes to the regulation of the cannabis industry on their territory. 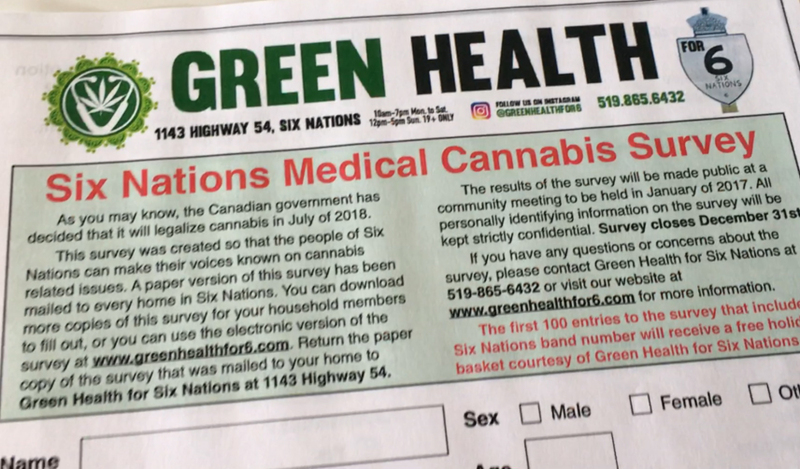 The survey, undertaken by the on reserve dispensary Green Health for Six, was mailed to 2,300 households in Six Nations and New Credit. It asked 20 questions about people’s use of medicinal and recreational cannabis, and gauged their attitudes towards its use in their territory. “A total of 731 people completed the survey, with 626 respondents providing their Indian Status numbers,” said Hawk, beaming with pride as he held a hefty stack of of completed surveys in his hands. The survey was carried out from December 4th to 31st, 2017. Surveys were filled out in hard printed copy and digitally online. Status numbers were requested in order to prove the identities of respondents, in case someone chose to dispute the legitimacy of the participants or question the relevance of the results. These numbers appear to demonstrate an unprecedented level of community engagement in a matter that spans questions of sovereignty in health and healing, economic opportunity, as well as the restoration of Indigenous self determination in medicine. The Onkwehon:we relationship to cannabis from Smoke Signals Media on Vimeo. 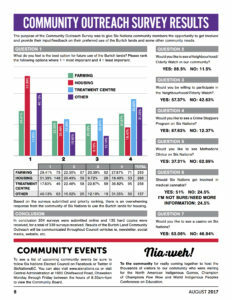 Full-page ads with the survey were taken out in both of the community’s weekly newspapers, the Two Row Times and the Turtle Island News. Surveys could be returned by being dropped off in person, mailed in, texted in as a photograph, or filled out in an online form. 96.5% of respondents held that Six Nations people have the sovereign right to determine their own path and choices regarding cannabis. 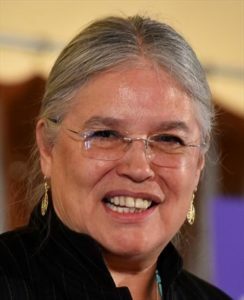 The results appear to be a powerful expression of the people’s will, suggesting cannabis is here to stay at Six Nations, and that it should be kept in the hands of the people. 53.8% agreed that the industry should be “regulated” by traditional medicine people and run according to Haudenosaunee custom. And nearly 28.3% said they believed that an association of indigenous cannabis retailers should regulate the industry, with many suggesting both options together. Only 4.4% of the respondents felt that the Six Nations Confederacy Council should have a hand in regulating the cannabis industry. An even smaller fraction, 3.1%, thought the Elected Council should have a role in regulating cannabis, and only 1.6% wanted to follow the regulatory system of the Province of Ontario and Canada. However, there was a large minority of 21.1% that indicated that they weren’t sure how the industry should be regulated. 77% of respondents wanted more information and to get involved in the ongoing discussion around cannabis on the territory. 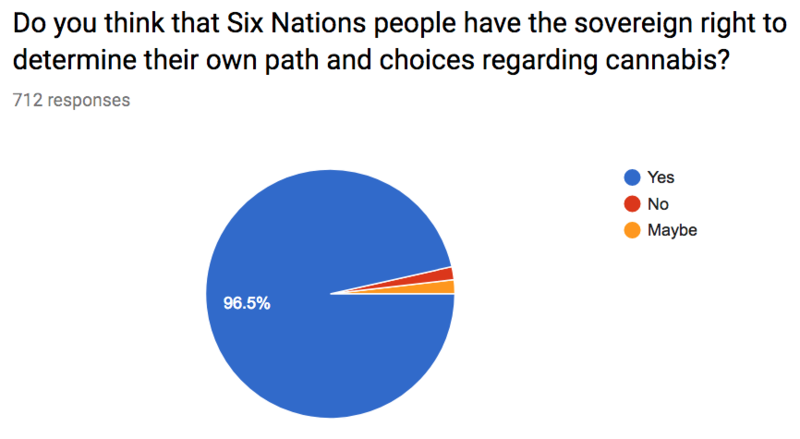 Perhaps the area of greatest consensus was with the question of whether Six Nations members should have the sovereign right to determine their own path and choices regarding cannabis. The answer was a resounding “Yes” coming from 96.5% of the respondents. Respondents further rallied around the idea that adults wishing to purchase medicinal cannabis should be able to do so at on-reserve dispensaries, with 94.9% of respondents agreeing. 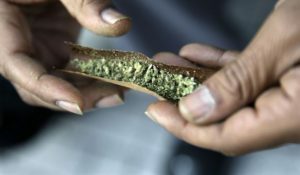 A slightly smaller percentage – 86.4% – held that cannabis for recreation purposes should also be available on reserve in the same manner. The owners of Green Health for Six consider sharing these results with the public a duty and a service, and hope that by doing so, indigenous people will realize that their industry is a legitimate one. The point, Hawk says, is to show council that they work for the people, not the other way around. By comparison, when a recent survey was carried out by the Six Nations Elected Band Council in August 2017, it received 339 responses, and it did not require status card numbers to verify the respondents. 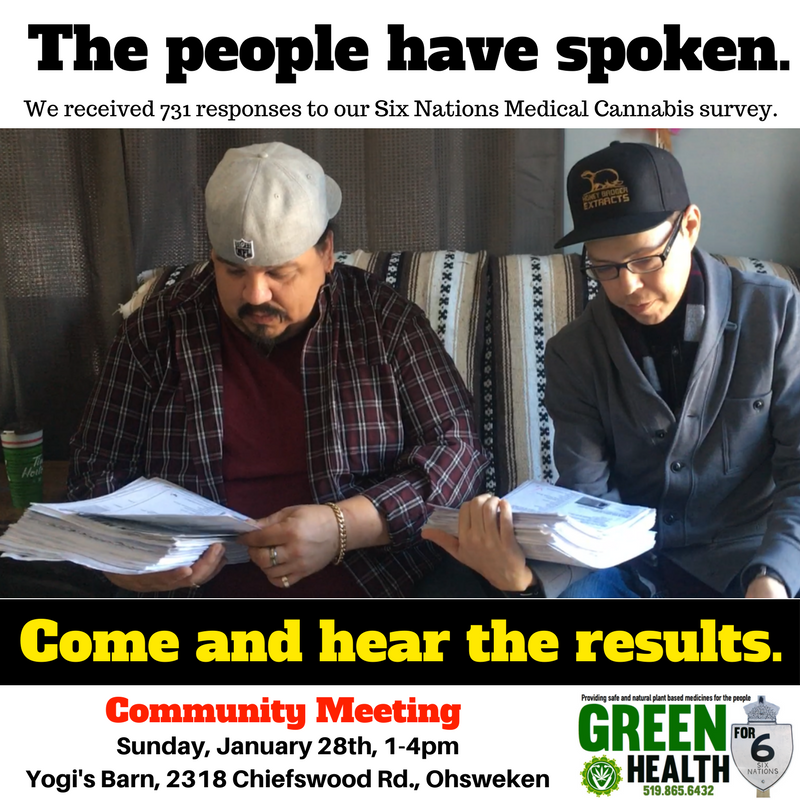 It only asked one vaguely worded question concerning cannabis, “Should Six Nations get involved in medical cannabis?” The results were 51% in favour and an even of split of 24.5% saying no, and 24.5% expressing uncertainty or requiring more information. In the 2016 Band Council election, Chief Ava Hill won with a total of 620 votes, while none of the elected councilors received more than 137 votes. The full results of the survey will be presented to a community meeting held at Yogi’s Barn, from 1-4pm at 2318 Chiefswood Rd. in Oshweken,on January 28, 2018. 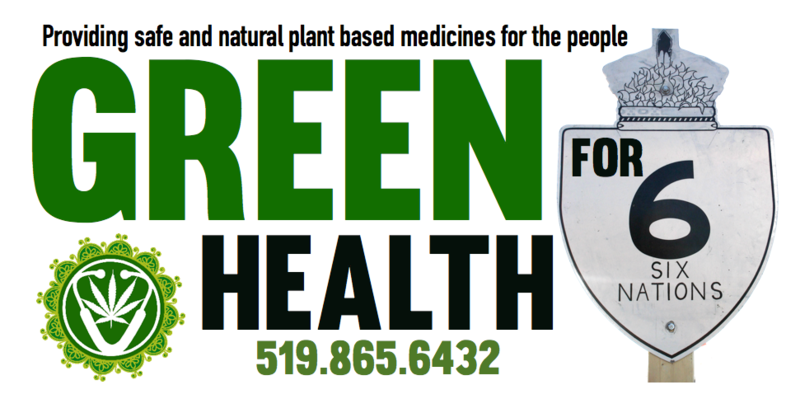 Green Health for Six is located on Highway 54, in between Brantford and Caledonia, and is open Monday to Saturday 10am to 7pm, and open on Sunday from 12pm to 5pm.